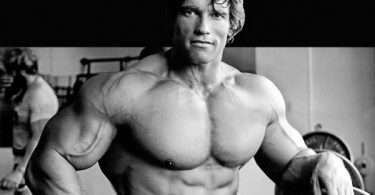 People who want to try to make themselves look like professional athletes stacked with large and well-defined muscles might find themselves looking at a number of different online resources with programs that claim to be able to help you get the muscles you want in a short amount of time. But most of these websites don’t provide the right information about building muscle while maintaining fitness. There are some main things that are the obvious keys to get started, like knowing that muscles only grow stronger and larger if they are being used often – if they aren’t used often in the gym, they are actually more likely to become smaller and a lot weaker than you probably want. The first step is knowing you are going to have to put in the time and the work at a fitness center to make sure you are hitting your bodybuilding goals. Now, what are the best ways to effectively build muscles throughout the entire body? This is where some online sources don’t provide the best information. But several experts do agree on the most important and most effective tips to accomplish the goals of the average aspiring bodybuilder. You are obviously going to have to consume enough food with vital minerals, vitamins and nutrients to help fuel your body as you progress towards your muscle growth gains. To calculate how many calories you need, the factors include how old you are, whether you are male or female, your current weight and how active you are going to be at home, work and anywhere outside of the gym. The best way to make this simple, you can simply multiply your current weight by 20 and you will have that many calories to eat per day. Let’s say you are currently 180 pounds – so the equation would be 180 x 20 = 3600 calories each day. That might seem like a lot, but the muscles need plenty of food to grow. There are a number of scientific studies that have found that if you begin training the larger muscle groups, you will actually spark a jumpstart on the process of building muscles throughout the entire body – and you will actually be able to create gains that are larger and are made much faster than before. Working out the muscles in your leg, back and chest as your primary targets means you should do as much as you can for each group at least once a week. Meaning you would have a designated day for legs (Monday), one for back (Wednesday) and one for chest (Friday). Over time, your body is going to make enough gains to where the heavy weights that you were starting with will become a lot easier than before. So you’ll have to make the proper additions of plates to make enough of a shock so that it can continue to grow more muscles to continue developing. Let’s say you start with about 100 pounds on your bench press in the first week. Add about 10 pounds during week two and add 10 pounds for each additional week you continue and you want to do this for all of your lifts so that you can grow your body’s muscle groups within a proportional pattern. Using a progressive approach to your lifts will make sure the muscles don’t become too comfortable and complacent – which hinders growth development. The added weight will tell the body you need more growth to keep up with the increasing weights. You will see growth and strength increasing every seven days. Speaking of making sure your body doesn’t become complacent, you’ll want to make changes to the way you set up your workout so that the body will learn to adapt and start building to be prepared for anything thrown at it. For example, you can take the three days of training and decide to stretch it out to six days and have one part of your body focused on each day. Start your first few weeks of training where Mondays are your focus on arms and back and Wednesdays can be your work on back and triceps. But when it’s time to switch to six days of lifting instead of three, you can schedule chest, triceps, back and biceps each on Monday through Thursday respectively. The legs and cardiovascular work can also be split up between Friday and Saturday as well – giving you Sunday to take the day off. You can change how you perform your lifts as well with doing lifts that can go a third of the way on your first set, then two-thirds of the way on your second and then do the full lift on the third set. You are also recommended to do a reverse load progression so that you can lift more on that first set and a little bit less on the other two as you go through the workout. Obviously you want to make sure most of your calories and nutrients are coming from real food. But supplements are also a good way to provide a number of nutrition gaps that can happen. Maybe you need more vitamins to help coax your body to helping build more for your muscle fiber. There are a number of different types to consider picking up at a local supplement or vitamin store. Whey protein powders – This is usually a requirement to have for anyone wanting to build big and lean muscles while also increasing performance in the gym and cutting excess body fat. Whey protein is a vital component in building muscle and is one of the most powerful ways to have protein be digested and absorbed into the body and straight to your muscle fibers. Casein protein – Consider this a twin brother to whey and is often found in dairy milk. This protein is digested a little bit slower and is most beneficial to consume before going to bed. Creatine – A great way to improve your energy that goes towards your muscles to be able to complete more repetitions and lift more. Branches-chain amino acids – These BCAAs are usually able to combine acids like leucine, valine and isoleucine to better heal and build on your muscle tissues. Glutamine – By increasing how much leucine are in your muscle fibers, you are able to reduce breakdowns and can also improve your immune system. Are there amino acids that burn body fat?